Dortmund have truly attacked the summer transfer with intention. After losing Mats Hummels to rivals Bayern Munich for a fee of €38 million, they decided to invest part of that money in activating Marc Bartra’s buy out clause for €8 million.The difference in the quality of Mats Hummels and Marc Bartra is clear but it can be considered a bargain paying so little for a player that has featured 59 times for the Barcelona first team and 89 times for their B team. At the age of 25 it can also be argued that he is at a footballer’s peak and will have another 5-7 years of playing top-level football. He has clear weaknesses such as his pace, which Bale showed when running past him in the final of the Copa del Rey. However he is a centre back that is good at tackling and wins aerial battles as well as being very comfortable on the ball as his 87.8% of completed passes last year shows. Many qualities that many of us would attribute to Mats Hummels. Another defensive signing they have made is in the form of Raphaël Guerreiro. The left back is a very modern full back. He likes to attack more than defend but has many qualities such as his dribbling, crossing and free kick ability as he demonstrated recently scoring a free kick for Portugal vs Norway. He is only 22 with time to grow and for only €12 million from Lorient it is a good signing in many people’s eyes. He was linked with other top clubs such as Barcelona, Liverpool. So Dortmund with that in mind as well as him starting for Portugal in the Euro’s had to act quickly. His main weakness is his aerial ability as he is rather short at 1.70m but his attacking ability makes up for it. He will definitely be challenging Marcel Schmelzer for a starting place come the start of the season. Moving onto the midfield, Dortmund lost a key part of their team here also with İlkay Gündoğan moving to Manchester City for a reported €28 million fee. 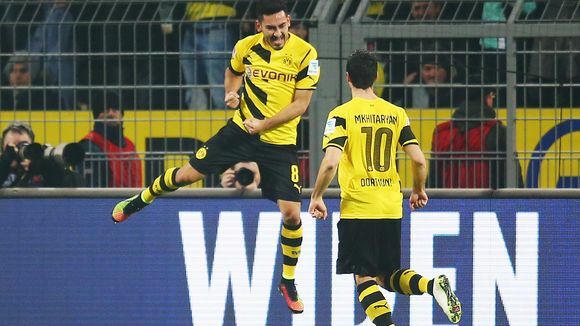 It is obvious that most teams in the world will miss the quality of a player such as İlkay Gündoğan. They ended up signing Sebastian Rode and Mikel Merino for a fee of €14 million and €3.8 million respectively. The signing of Rode is similar to last year’s signing of Gonzalo Castro. Both are established players in the Bundesliga. Gonzalo Castro had played 286 matches for Bayern Leverkusen in a 10 year period. Whilst Rode has played 132 games in the Bundesliga in a 6 year period. Rode has also been a German international at every level but the senior team. Bayern 2 years ago beat other clubs to the capture of a promising midfielder in the shape of Rode but his development has not been what was expected and he has merely featured as more of a substitute option than a starter under Pep Guardiola. At the age of 25, he can still develop and show his true talent. He is a player with good passing range as well as liking a tackle so in my eyes it is a very good signing and offers Thomas Tuchel more options in midfield with a player he knows will not have to adapt to the Bundesliga unlike Mikel Merino. Mikel Merino is a young player at the age of 19. Despite his young age he has played 64 times for Osasuna in the Segunda División and last year scored 6 goals. The signing of Merino was agreed much earlier in the year therefore suggesting this signing is more one for the future instead of a reaction to the loss of Gündoğan. Merino is a very gifted technical box to box midfielder. He has a lot of potential and after seeing what Thomas Tuchel has made with Julian Weigl, a player who also came from a lower league than the Bundesliga, he will be relinquishing the chance to work with him. Vice-versa too, I am certain that Tuchel will be very excited to have such a talent at his hands. Talking about potential and talent, the next two signings of Dortmund clearly show this. Ousmane Dembélé and Emre Mor. The first one came for a bigger transfer fee and also a bigger reputation despite only being 19. He has signed for Dortmund for an initial fee of €8 million with variables that can make that fee rise. But he comes on the back of a stellar season having scored 12 goals, 5 assists as well as 7 man of the match performances. He had a lot of clubs interested in him before committing to Borussia Dortmund. He is a player that can feature either on the wing or just behind the striker. And with those stats for a humble team such as Rennes, most would expect to get better at a team with the quality of Dortmund’s. He may struggle to get in the team initially with Reus, Kagawa and Mkhitaryan all featuring heavily for Tuchel’s side. However it does allow him to have some time to adapt to the Bundelisga and the pressure of playing for one of Europe’s top sides.His main qualities are his dribbling ability, speed and his finishing with his passing being his main weakness. However with the quality that Thomas Tuchel has in improving young players, he has a very good player on his hands who has admitted one of the main reasons behind his move to Dortmund was to work with him. The latter signing of Emre Mor is again a signing for the future with the player only being 18, turning 19 later next month. He has played 13 times for Nordsjalland before getting his move to Dortmund in a €9.5 million deal. In that time he managed to get 2 goals and 2 assists as well as getting capped for Turkey and going to the Euros.He has mostly played as a second striker for his previous team but due to this fragile frame he could be pushed out wide. However with this player, a loan could be an option with Dembélé most likely being in the most favourable position to push for a starting place, a loan to a mid-table Bundesliga team would allow him to adapt to the league as well as keep his progress from not stalling. With Henrikh Mkhitaryan and Pierre-Emerick Aubameyang constantly being linked with a move way it could be possible that Thomas Tuchel loses more men. But with the scouting at the club as well as the club being attractive to players it does seem like promising times ahead at the Signal Iduna Park. It will be hard to beat Bayern Munich to the league but that is surely the aim of Tuchel as well as to keep competitive in Europe. Time will tell if these signings go on to make the desired impact or not. Who is likely to be the best signing Dortmund have made? What have you made of their transfer business? Let us know in the comments below!